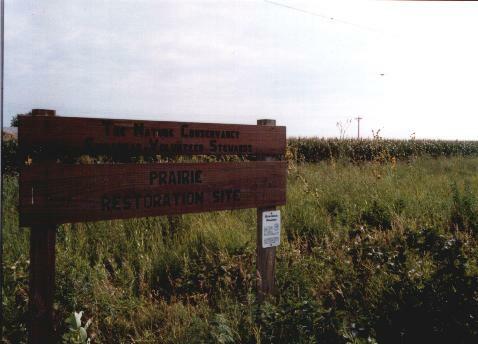 Many of the few remaining native prairie remnants in Illinois occur along existing and former railroad beds, since the ground along the rights-of-way was never plowed up for farming. This is a half-mile example of such a "railroad prairie," along a line that ran between Charleston and Mattoon. It contains a good diversity of prairie plants, plus, unfortunately, a stand of exotic sweet clover that EVS has been trying to eliminate. Other railroad prairies in east-central Illinois are near Neoga, Mason, Newman and Paxton.